Attention all hypebeasts: The proposed dates and and locations of the Louis Vuitton x Supreme pop up shops have been announced, so you might want to start booking your tickets to New York City now. 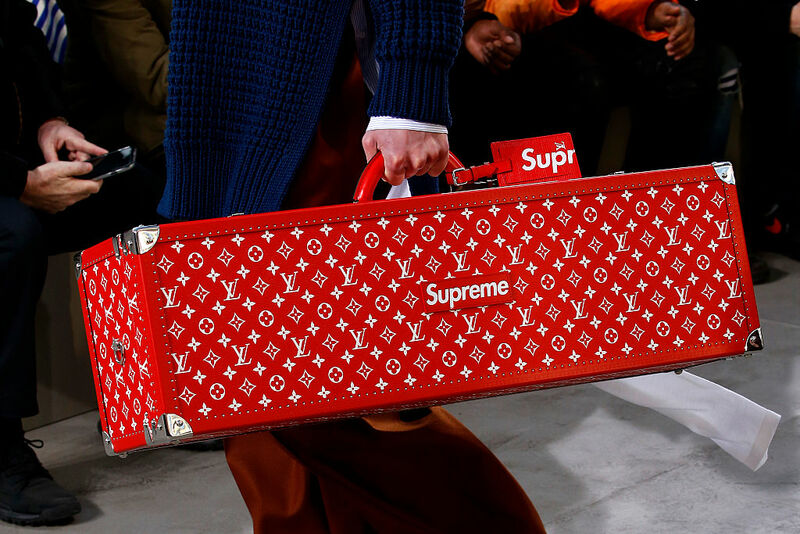 Back when news of the Louis Vuitton x Supreme collaboration was announced, Kim Jones, designer for Louis Vuitton, said that they would offer the collection in stores in cities with the most love for both of the brands. There has been some recent chatter that there were pop up shops planned for one day only — June 30th — in L.A., New York City, and Miami and that Louis Vuitton stores would then carry the collection in stores starting in July. But! One savvy New Yorker (is there any other kind?) noticed a public bulletin posted downtown that announced a community board meeting next week to discuss proposed “street activities” to be held at 25 Bond St. between Lafayette and Bowery from June 29th to July 2nd. That date range could still just be fore the rumored June 30th pop-up shop and locals are are just being real about the fact that the pop-up shop might draw fashionistas who would camp out on Bond St. in advance, but it looks like the store will be around for at least three whole days. So if you really want to shop the collection, there might some hope. Maybe — hopefully you have enough cash saved for the $68,000 trunk (which is double the price of their signature trunks, BTW). There’s more to the collection than trunks, though. There are skateboard carriers, a ton of great bags, scarves, iPhone cases, footwear, and jackets. There’s even a keychain that will probably end up on eBay for a bazillion dollars. New Yorkers are right to worry that their neighborhood will be overrun with fashion diehards and thirsty hypebeasts. Earlier this year, a Supreme branded MetroCard sold out within hours and wreaked havoc at already crowded subway stations. Now, they’re selling on eBay for around $15, or a few hundred dollars if you’re a total sucker and want it to be wrapped in cellophane. When it comes to Supreme, people get totally savage. So if you really want to shop the collection, mark your calendars now.